AEC (Architecture, Engineering, and Construction) sector has been out there longer than many other industries on our planet. That is one of the reasons why new technologies are implemented slower than in other domains. That fact has been confirmed by the McKinsey Global Institute Industry Digitization Index, according to which the Construction industry takes second-to-last place after being evaluated based on over 20 metrics. In the construction sector, the Research and Development (R&D) budgets are usually much smaller than in other industries (it rarely goes higher than 1% of revenues). That might be another reason why it bites the digital dust and lags behind other sectors in terms of implementing emerging technologies. You might wonder why the construction industry should get faster at adopting advanced technologies. That is because, according to the report based on the data from the U.S. Bureau of Labor Statistics and the U.S. Bureau of Economic Analysis, over the last 20 years, the productivity in the construction industry has gone up only 1% every year. According to MIT Technology Review, one of the ways for the construction industry to improve productivity fast and ensure long-term results is by using innovations in the field of augmented reality (AR). 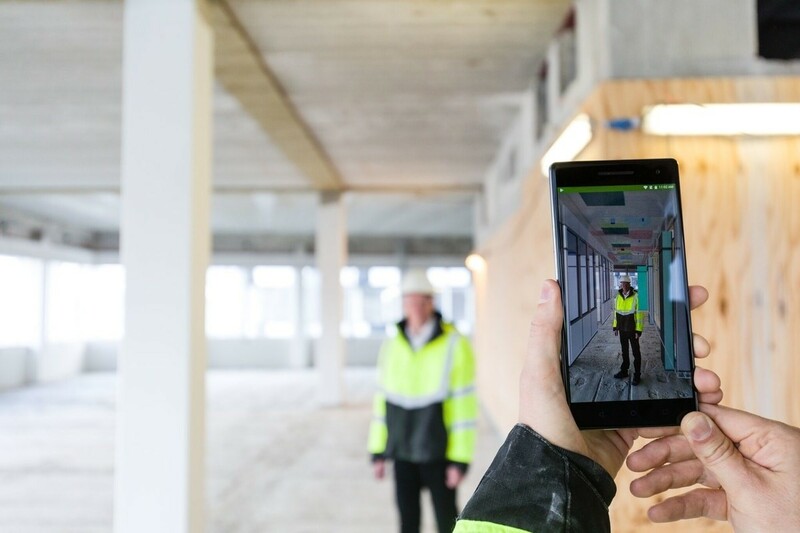 Thanks to the recently released mobile augmented reality development kits (Android’s ARCore and Apple’s ARKit), developers can easily incorporate the benefits of augmented reality in construction into mobile applications. That, in turn, can help the construction sector make decisions in favor of AR solutions. But, there are still many obstacles that might hinder the AR implementation process. So let’s take a look at everlasting challenges the construction industry faces, how augmented reality can help to solve some of them, and what use cases can show the effectiveness of AR. The construction industry is slowly but steadily entering the market of mobile applications. Over the last six years, the usage of AR wearables and mobile devices for building workflow has drastically increased. That, combined with open AR development kits, allowed construction companies to double the uses of augmented reality in 2017. Below, you will see examples of AR solutions that are already out there and waiting to be adopted by the pioneers of the “augmented” construction industry. In one of our previous articles, we have discussed how BIM modeling can be adapted using virtual reality. In a nutshell, BIM models are more advanced versions of their 3D ancestors. Besides the hull, they also contain a lot of extra information about piping, wiring, materials, etc. By using a headset (like HoloLens), a contractor or manager can walk inside a BIM model overlaid on the real world. By doing so, they can compare what has been planned with what has been build and evaluate the work on the spot. By implementing augmented reality in construction processes and BIM modeling, you can save money on rework and break the project into effectively scheduled stages. It is possible to take pictures and record voice messages or videos and send them to the design team if any questions arise. Before any work has even begun. It is similar to a VR experience. The difference is you can see the real world around you. In the course of building. Workers can use AR to see if everything goes according to plan and prevent mistakes by double-checking the work on site. After the project is finished. This way, you can make sure that all the components were laid down as designed and whether the project’s requirements were met. As in many other industries, there is a lot of machinery involved in building. Most of it requires hours of training. If something goes wrong and there is nobody with the necessary knowledge and skills to “plug the leak,” the team will have to request an expert and wait for their arrival. But, with the help of an augmented reality headset, an employee can receive direct instruction and act accordingly. As a result, the AR training costs lower, the instructions are more intuitive, and the downtime is minimized. Such smart instructions can also be projected via a mobile device. In such a case, the solution is not entirely hands-free, but still preserves most of the benefits. In addition, when you use augmented reality in construction, it can provide workers with a safer training environment. They can work with large-scale machinery with no risk of being injured or hurting someone else. This way, companies can train their workers more effectively and use the machinery at the same time. Building requires many teams to work together. Carpenters, electricians, plumbers, welders, designers, and managers. And, that list is far from being complete. In this environment, the collaboration quality between all these people greatly influences the time and money spent on the project. Not all workers must always be present at the site, and when something must be clarified, it takes time to get all the blueprints and models ready and consult all the parties involved. Another advantage of using augmented reality in construction is that people can collaborate and solve problems effectively while being in different locations. Field workers can share their video feed from the AR glasses and receive advice or instructions from a remote expert in real time. Several people can work on one model with all the necessary information in front of them. As a result, decision making in augmented reality takes less time, the downtime is minimized, and you don’t have to cover travel expenses for the required team members. When new cables or pipes are laid, there is always a risk of hitting a gas line or damaging underground utilities. One wrong move of the excavator’s bucket can lead to a massive explosion. Using augmented reality, you can have all the critical information at your fingertips at any time (depth, ground and cable types, etc.). One of the main factors that hindered the mass implementation of AR in construction is the high price of augmented reality. Hence, only large AEC enterprises can afford large up-front investments in emerging technologies like AR. Also, according to the research conducted by JBKnowledge, only half of all companies in the construction sector have an IT department, and 60% of them have five or fewer employees working there. This statistic shows that companies either don’t see the benefits of digital development or are too small to maintain big IT departments. Nevertheless, with the advent of open-source mobile toolkits for AR, the augmented reality app development cost is getting lower, the window of cheaper AR solutions has been expanded, and small-to-medium businesses have started to harbor the benefits of AR construction. Less rework and downtime-related losses. Finishing the project on time and fitting the budget constraints is very important if you want to maintain good relationships with your customers. BIM models have proven to help with both of those, but with AR, their usage becomes much easier. With augmented reality apps, you can get into the BIM model, adjust the building schedule, and plan out the logistics weeks ahead. During the actual construction, workers can spot any overlaps (piping, wiring, etc.) faster and prevent rework. In addition, when you see how the utilities are laid out, you can prefabricate parts in advance without being afraid of issues with misaligning or miscalculations. Gilbane Building Company has already tried out HoloLens on one of their projects, a $70 million school in Boston – Dearborn STEM Academy. Thanks to AR, one of their workers spotted that the steel frames they wanted to order were too long. They informed their supplier and shortened the frames. That move itself saved about $5,000, which means that the $3,000 HoloLens headset has paid off. Better project management and collaboration. Using augmented reality, a client can see the results before even the work starts. This way, any misunderstanding can be nipped in the bud. That is also true for inspections that are more effective if you use the AR overlay. With augmented reality, you can spot more problems and solve them faster without paper blueprint hassle and communication delays. Also, thanks to the AR collaboration, many changes can be applied faster, and all teams can work with better precision. Manual measurements are no longer there to mess with the drawing board because augmented reality allows accurate space recreation and projection. Like many emerging technologies, augmented reality is not perfect and has lots of room for improvement and optimization. 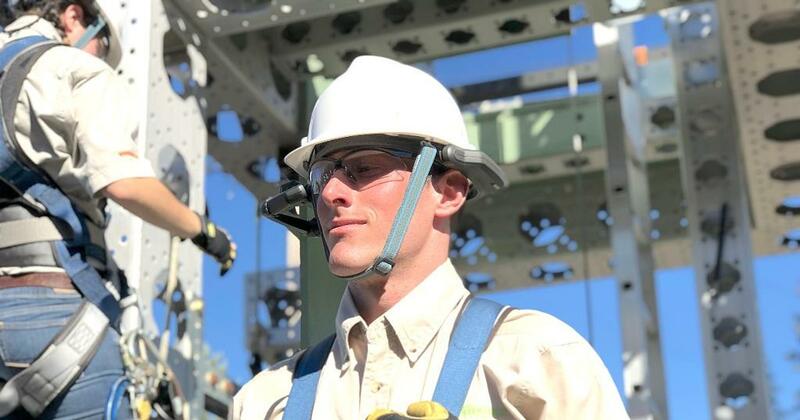 Not all augmented reality glasses allow their wearer to have a hard hat on while using the device. One of the solutions is to make a hybrid and combine the two or use the headset outside the site. Distraction factor that might become very dangerous if the person fails to see a hole in the floor or spot an incoming crane’s hook, etc. Bad Internet connection in remote locations. 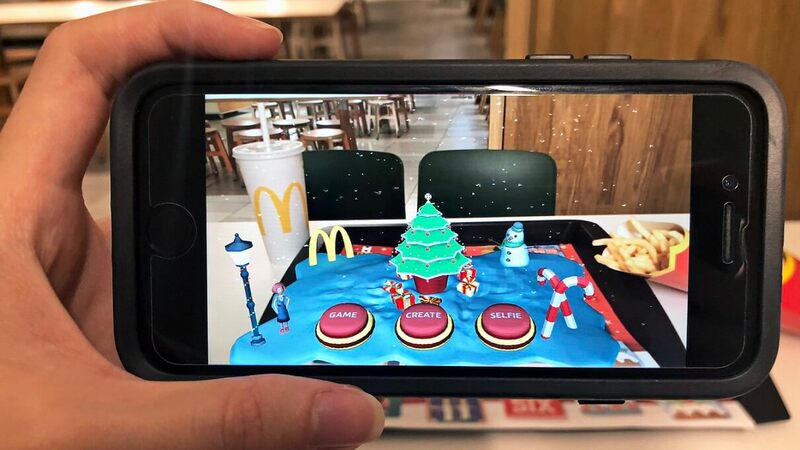 Yes, augmented reality apps can work offline, but real-time collaboration won’t be possible in such a case. 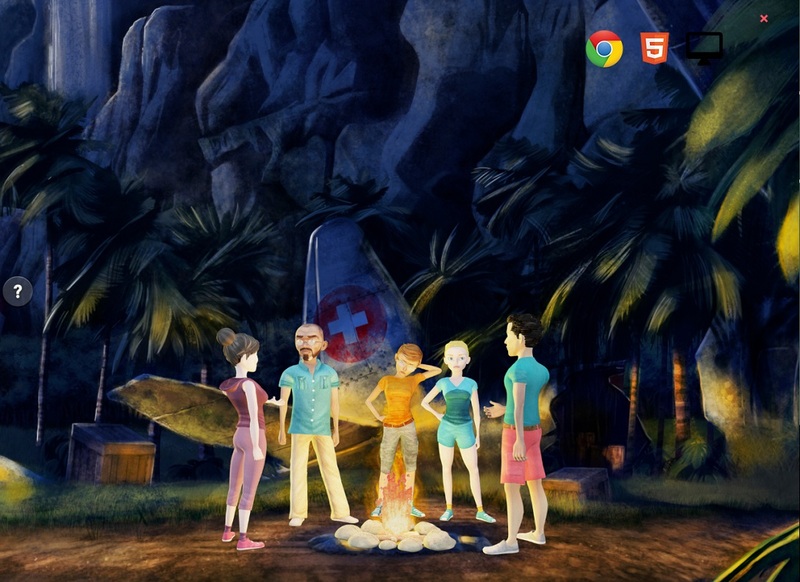 Non-static environment. Today, AR requires the surrounding to be static, but a construction site is a place that undergoes changes every day. That limits some of the possibilities, but with the AR app development, this issue can be solved. 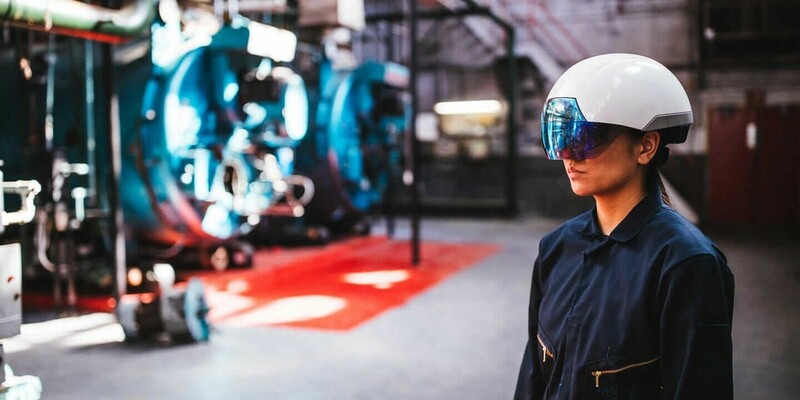 The safety problems will no longer be such in the future, but it will take time for construction-targeted AR wearable devices to hit the mass market shelves. However, even considering the existing issues, the use of augmented reality in construction is the way for this data-overloaded industry to catch up with many technology-savvy and digitalized sectors. 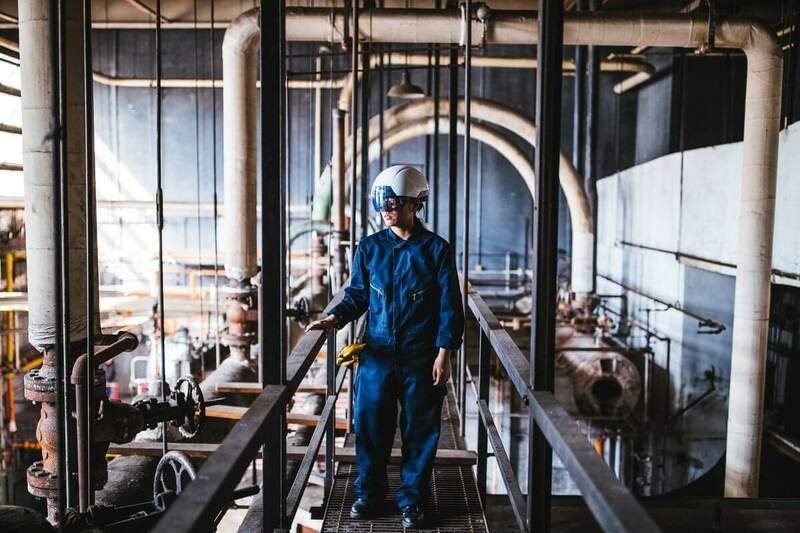 AEC companies must take advantage of AR, VR, and other emerging technologies to break the curse of low productivity and take things to the next level. 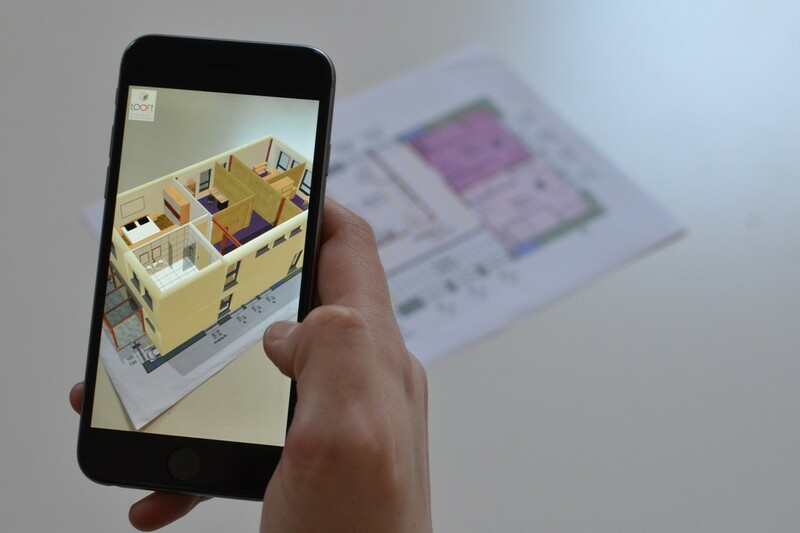 The possibilities of augmented reality in construction cannot be ignored: you can streamline the processes involved in most building projects, eliminate the guesswork, save time and money, and provide both clients and architects with better design insights. The changes are looming on the horizon, and the AEC sector is slowly but steadily joining other industries that are already benefiting from reality technologies. Jasoren is exactly what you need. We have a team of skilled augmented reality developers who can consult you on questions related to your AR project. If you want to know more about how much augmented reality costs and estimate the budget required for your ideas to come true, you can also rely on us.